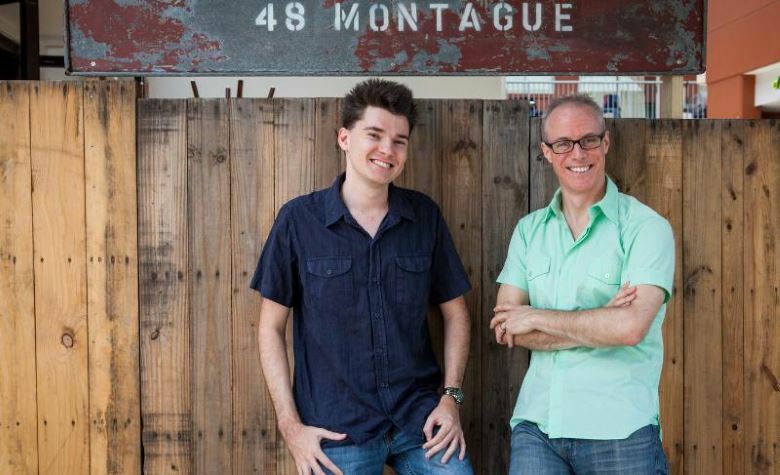 Australian startup SwipeAds, creator of FunCaptcha, has been named by prominent Australian publication The Age* as one of the "Top 5 Australian Startups" to watch in 2015. John Mactaggart, renowned Queensland investor, when asked by The Age, named FunCaptcha as his top pick. He and fellow Brisbane Angels have financially backed the product which has been launched by SwipeAds, a Brisbane firm, founded and lead by Kevin Gosschalk and Matthew Ford. FunCaptcha replaces traditional distorted text and image CAPTCHA technologies with a playful visual puzzle that aims to be friendlier, faster and more engaging for websites' potential customers. "It's an absolute pain in the neck trying to type in those weird letters... [FunCaptcha] gamifies it to a large degree...making the captcha business fun," Mactaggart says. It's a big step in the right direction for the CAPTCHA industry, which has seen little movement away from hard to read text and images since its creation over a decade ago. Gosschalk was thrilled and humbled by the news, saying, "John has been a firm supporter of the product and to have him name us as his top pick for 2015 is very gratifying." CAPTCHA is an acronym for "Completely Automated Public Turing test to tell Computers and Humans Apart". FunCaptcha reinvents the human verification test known as CAPTCHA, those much-hated obscure letters and numbers you must type out to prove you're a human when signing up to a new website. Over 300 million CAPTCHAs are solved each day -- taking over a million hours to execute. FunCaptcha replaces those with a small gamified visual puzzle which takes 5-7 seconds to solve and not only stops the bots, but also greatly improves user conversions by 20.4% from the old typed-in kind of CAPTCHA. FunCaptcha is free to install and use, can be customized to match a site's theme, and can even generate revenue for websites by showing optional ads. SwipeAds is a privately held Australian based company specializing in the delivery of high-value online and mobile inventory to advertisers. SwipeAds created FunCaptcha, a new type of ad unit, installed on over 20,000 websites and delivering CPMs multiple times the industry average. SwipeAds guarantees human viewability of all ads placed in the FunCaptcha channel, and combines a passion for technology with a resolve to defeat ad fraud, spammers and bots.